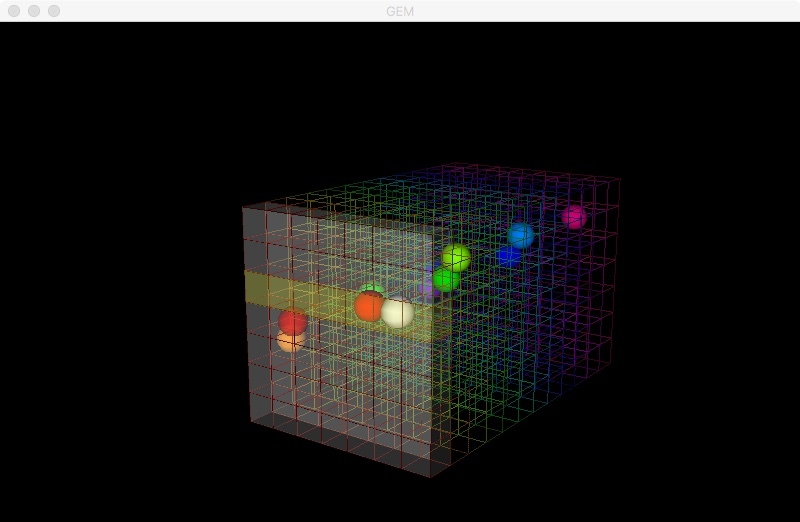 Partito is an engine/algorithm for an RGB-level quantization of harmonic combinations. It is designed to be an intuitively navigable and computationally efficient representation of 12-note harmony. 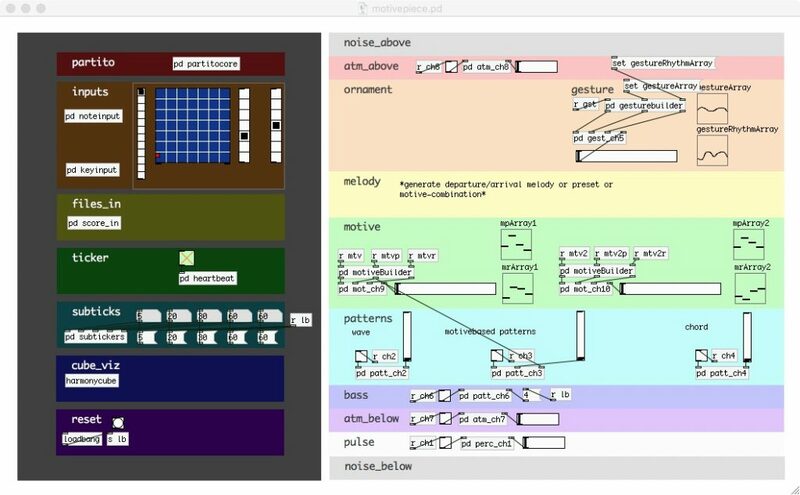 Operating at byte-level, the system should be a useful core element both in dynamic music creation and in the categorization and analysis of audio and notated music. An assortment of automatically generated examples can be found here on SoundCloud. 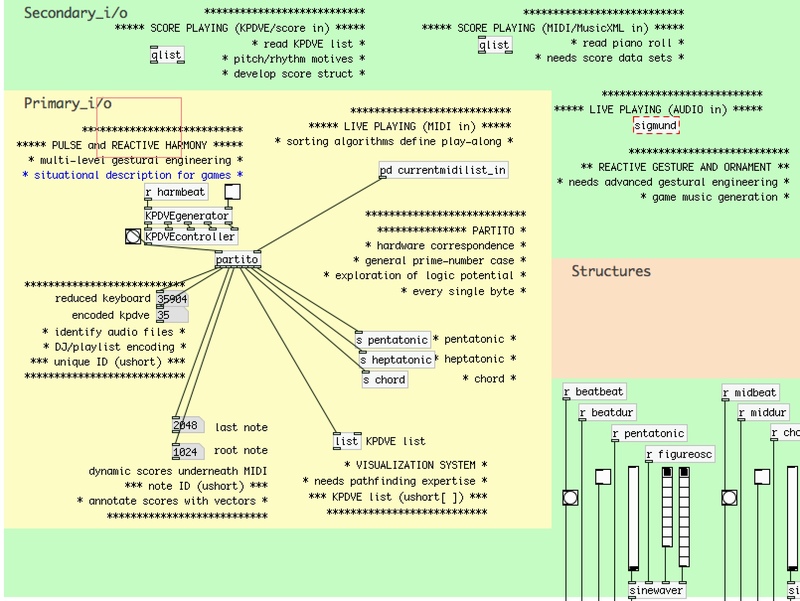 Paritito uses byte partitions to define harmonic paths and possibilities at the very core of the computer: complete chordal and modal analysis can be reduced to 32 bits, and decompressed without loss. The system builds a geometrically complete bit-space in which a user can move without limit. 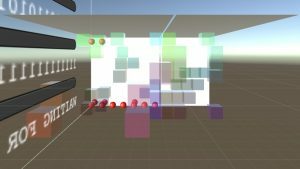 To the right and below are images of the engine at work in 1) Unity (showing the geometry of the space) and 2a) and 2b) Pure Data, with descriptions of inputs and outputs. General release and licensing for game music will be possible in late 2017. Please send inquiries via the contact form.